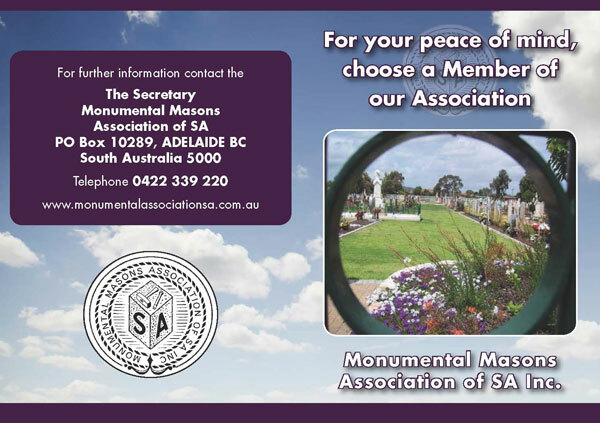 Welcome to The Monumental Masons Association of South Australia Inc.
Our mission is to promote and develop the Monumental Stone Industry of South Australia in a viable, innovative, diversified and ethical manner. 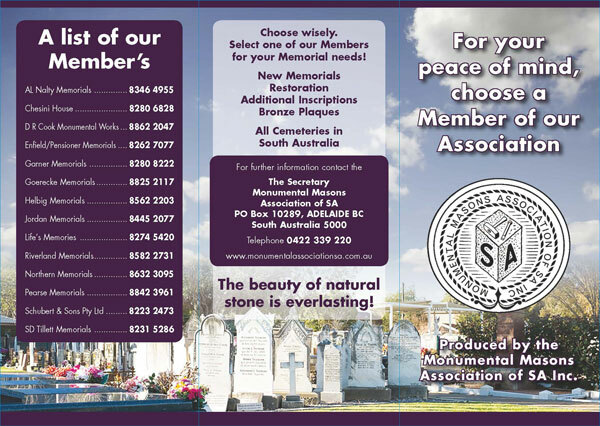 To increase the general public’s awareness of our aims, expertise and resources with regard to memorialisation and at all times promote individuality in design to meet the needs of our multicultural society. 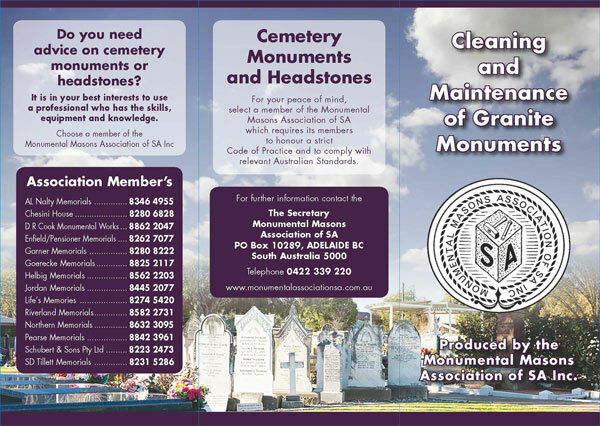 Do you need advice on cemetery monuments or headstones?